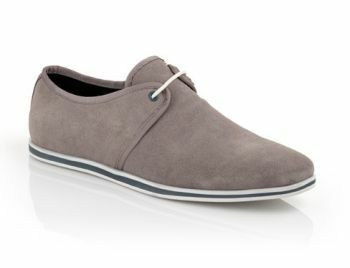 A report released last month by leading market researcher IBISWorld has tipped fashionable, differentiated men’s footwear as the most promising growth prospect for the sector. The IBISWorld Industry Report – Footwear Retailing in Australia said male Australian consumers were growing more discerning in their footwear choices, driven by style content and value for money. Spending in the lower bracket below $90 remained dominated by women’s footwear. with around two-thirds of ‘cheap’ footwear spending on women’s items. In the upper pricing markets, spending was also largely dominated by women, the report confirmed, accounting for 44.1 per cent. The report also indicated better times ahead for the industry overall. The global downturn taking hold in late 2008 led to troubled times for the sector in 2009-10, when total revenue reached a low not seen since 2001, totalling $2.44 billion for the year. This year revenue would show some recovery, with an expected increase of 1.6 per cent to $2.48 billion by year end, the report stated, adding that this was projected to be the first step in a consistent run of growth years in total revenue, until 2015-16. The report also suggested that price competition and significant discounting were not as prevalent in the footwear industry as other retailing industries like clothing, with prices in the sector avoiding the dramatic falls of other sectors in recent times.